What services does The Lighthouse provide? How many people do you help each year on average? What are the sources of The Lighthouse’s revenue? How is The Lighthouse’s revenue allocated? What is The Lighthouse’s connection to the Christian Reformed Church (CRC)? The Lighthouse is a non-denominational Christian organization that seeks to promote the physical, social, emotional and spiritual wellbeing of low-income and vulnerable people of all ages. The Lighthouse’s programs place a special emphasis on displaced persons in our society, including refugees, immigrants and newcomers who are having difficulty integrating into Canadian society. In particular, the Lighthouse has developed language and culture-specific programs for Hispanic, Vietnamese and Chinese speaking immigrants and newcomers to Canada. The Lighthouse’s core objective is to be a living witness of God’s love to as many people as The Lighthouse is able to reach. In accordance with The Lighthouse’s mission statement, we offer unconditional hospitality and assistance to people of all backgrounds and cultures. The Lighthouse is located at 1008 Bathurst Street (about 3 blocks north of Bloor and a couple blocks south of Dupont) in Toronto, Ontario, Canada. Please click here for a map. 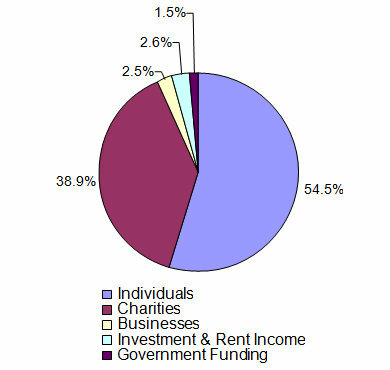 Services that help low-income people by providing relief and resources, including (without limitation) food bank assistance, workshops and courses for the development of employment skills, education/nutrition programs, and information on – and referrals to (where appropriate) – other organizations which have additional resources/expertise with respect to housing, health and advocacy needs. Support services for refugees, immigrants and newcomers, including (without limitation) ESL programs, information programs on Canadian culture and life, assistance in preparing for and in appearing at refugee hearings, translation support, and assistance navigating the proper legal and governmental channels, as may be required. Professional counselling services and support groups that empower individuals and families who have experienced physical and/or emotional trauma, isolation and immigration stress. Access to a community centre where clients can meet other people and make use of / enjoy workshops, handicrafts, cultural activities, recreation and celebrations. Opportunities for fellowship and spiritual support, including a prison ministry for male Vietnamese inmates, family VBS programs, seniors’ programs and celebration activities (particularly around Christmas time, and other special times). For more details regarding The Lighthouse programs, see What We Do. The Lighthouse receives funding primarily from individuals (including bequests) and secondly from other registered charities, particularly churches located in the greater Toronto area, but also organizations with whom we partner. Less than two per cent (2%) of The Lighthouse’s revenues come from government, typically in conjunction with grants for employing summer students. All revenue is received from sources within Canada. The Lighthouse is a relatively small charity with a budget of approximately $360,000.00. This covers the cost for 5 full-time staff who provide counselling services and oversee programs and administration/supervision. Administrative and management costs include licenses, professional development, professional memberships and dues, travel costs, legal/accounting costs, telephone/fax/internet costs, interest and bank charges, office supplies and expenses, and personnel costs for office administration and supervision. The Lighthouse was first incorporated with the intent of becoming a neighbourhood evangelical and social outreach overseen by the CRC churches of the Toronto Classis for the Christian Reformed Church of North America. 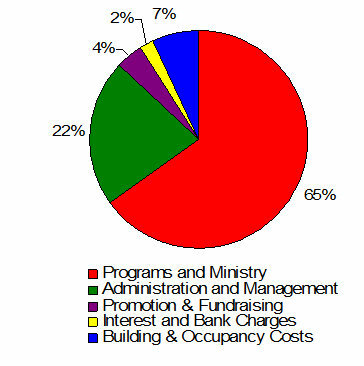 Following a reorganization in the 1980s, the mandate for The Lighthouse became focused on social assistance and refugee/immigration settlement and support, and the evangelical program was undertaken by other committees and organizations of the CRC. Following the reorganization, The Lighthouse has been overseen and supported by Christians from a variety of walks and denominations. Due to its history with The Lighthouse, the Classis Toronto churches – which generally share our vision and objectives – continue to comprise part of the membership of The Lighthouse, and continue to be a source of financial and volunteer support. Further, The Ligthhouse has over the years been a resource in information and advocacy for ministries and committees of the CRC, including the Ministry of Race Relations and the Christian Reformed Centre of Public Dialogue.